Sandy soil has its advantages. It drains well, is easy to dig in and warms up faster in spring than clay soils, meaning that plants start growing earlier - but there are fewer species adapted to it compared to other soil types. Sandy soil is relatively uncommon in nature and has several distinct disadvantages - it does not hold on to either water or nutrients for long. Plant a groundcover or perennial to make maintenance easy. Lavender is hard not to love. Originating in the dry, rocky hills of the Mediterranean basin, it is not only tolerant of sandy soil, it actually requires the excellent drainage provided by sandy soils. Plant it in full sun and water it only enough to get the roots established. Lavender is especially effective in long rows that can be used as a low garden border. These low-growing perennials have the grey foliage that characterizes many of the most drought tolerant plants. The leaves are finely cut and incredibly soft to the touch; when you brush up against them a delicious fragrance is released. 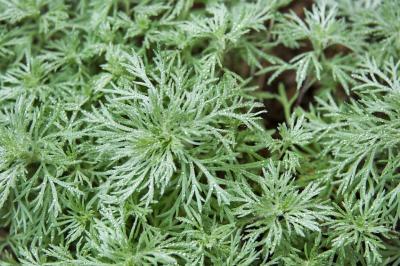 Artemisias are primarily a foliage plant, as the flowers of most varieties are inconspicuous, but they add a unique texture and color to perennial borders or can be used en masse as a groundcover. 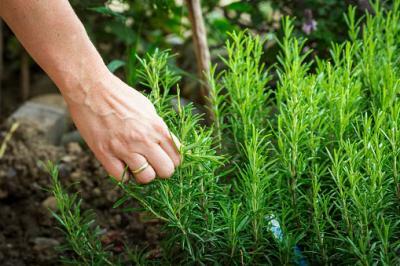 Rosemary is another familiar herb that thrives in dry, sandy soil. It never needs water once established and blooms in late winter when most other plants are still waking up from dormancy. Try one of the prostrate varieties, like Lockwood de Forest or Irene, for use as a large scale groundcover in sandy soil. There are an incredible diversity of sedums available in nurseries these days. They are succulents, so by nature they are adapted to dry, sandy soil. 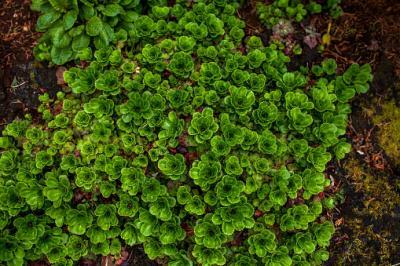 Most are tiny groundcovers that make great rock garden plants. There is also a taller variety called Autumn Joy that is a good choice for its extremely late bloom. Living in a sandy region doesn't mean you have to sacrifice colorful plants in your yard. Annual salvias add a strong shot of color to summer flower beds - crimson red, deep purple, and electric blue shades are all available. They grow quickly to one or two feet in height, depending on the variety. The blooms last for weeks, but once they fade, cut them back and they will bloom again until the first frost of fall. They are relatively drought tolerant for an annual bedding plant and are adored by hummingbirds. This is an unusual specimen for flower borders - it is closely related to onions, but is grown for it enormous purple pom-pom flowers that rise on a single stalk three to four feet above the sparse foliage. 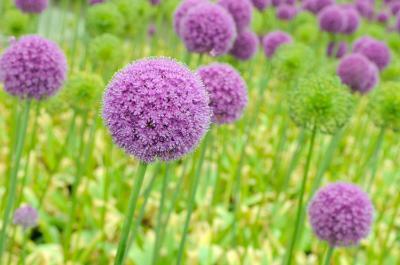 Giant alliums will bloom year after year in sandy soil with little care, making them a good choice for a semi-naturalized meadow planting. This bedding plant is adored by butterflies and smells like honey. It grows in sandy soil and is likely to seed itself in cracks in the driveway, bringing color to the harsh, hot concrete. 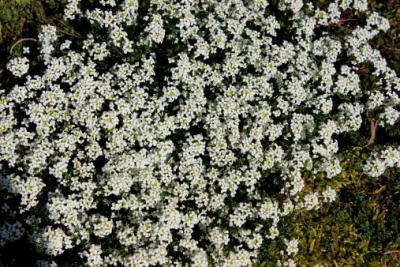 Sweet alyssum forms a low mat four to six inches tall and spreads up to two feet across. Pink, purple, and white varieties are available. Shrubs are excellent choices for privacy, and flowering varieties make beautiful additions to any garden in sandy soil. 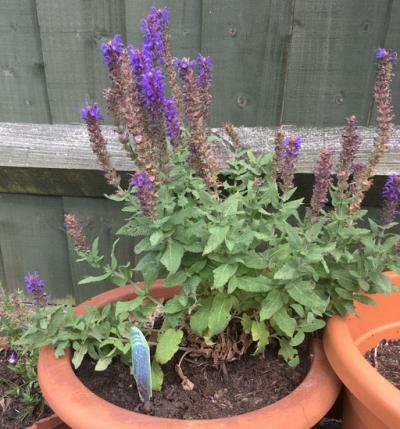 Butterflies flock to the elongated purple flower cones of this upright deciduous shrub. 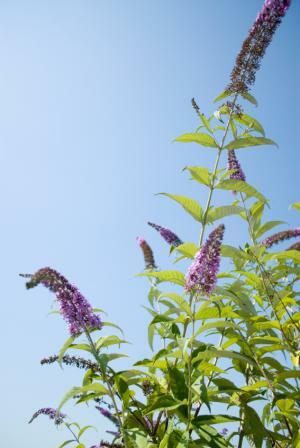 Butterfly bush adapts to most soil types, including sandy ones. White- and pink-flowered varieties are also available. This is probably one of the hardiest plants in the world. 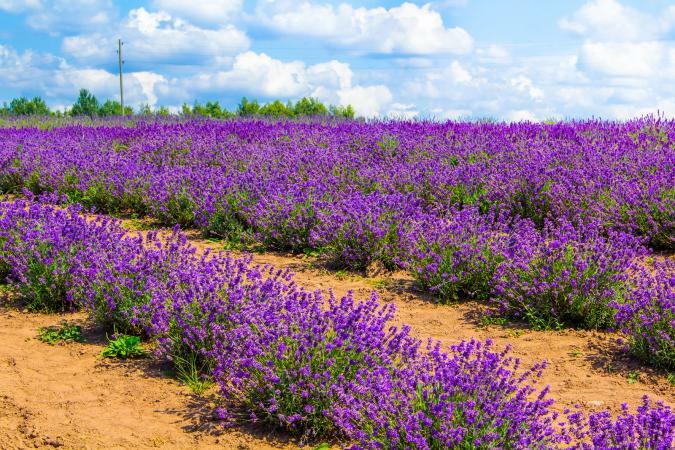 As you might guess from the name it is extremely cold tolerant, but it is also tolerant of light, sandy soils. 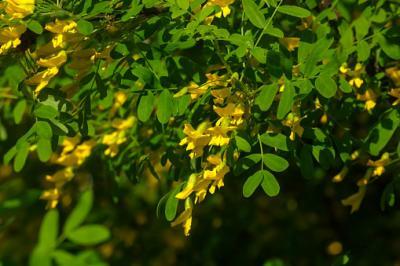 Siberian pea shrub grows 10 to 20 feet tall and five to 10 feet wide, depending on the variety. It is deciduous and makes a dazzling display in mid-summer with its bright yellow flowers. 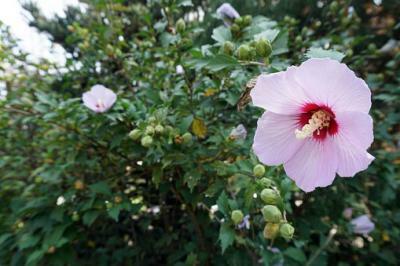 A trouble-free plant for tough conditions, rose of Sharon produces two- to three-inch hibiscus-like blooms in late summer - rose, purple, and white are the most common colors. In sandy soil, be sure to give it plenty of water to support luxuriant growth and stimulate profuse flowering. Trees are a focal point for many homeowners, regardless of soil type. 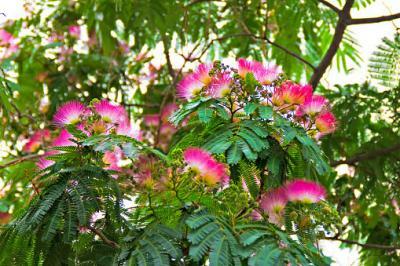 Also known as mimosa, this fast-growing deciduous tree is one of the best for sandy soils. It typically grows to about 30 feet, not quite what is normally considered a shade tree, but it does provide some shade and it doesn't take decades to do it - five to seven years to maturity is typical. This is a tall, upright hardwood tree that also grows at an unusually fast rate, even in sandy soil. Fragrant white flower clusters emerge from the bare branches in early spring, followed by finely cut foliage and then decorative seed pods in fall. Purple Robe is a popular variety that sports magenta blossoms, instead of the typical white. 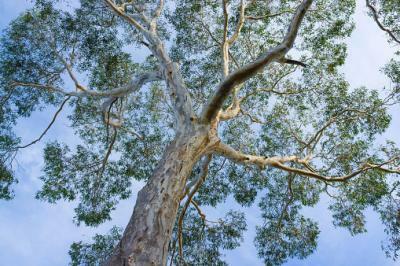 All species of eucalyptus hail from Australia, a continent with a disproportionate amount of sandy soil. 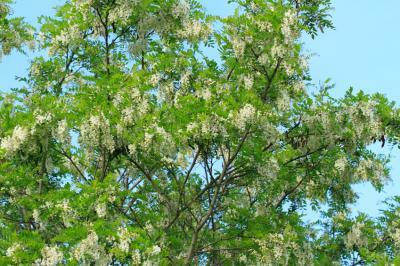 There are numerous varieties, but most are enormous, fast-growing shade trees, some reaching up to 150 feet in height. They are evergreen and emit a pleasing wintergreen-like fragrance from the leaves. A plant adapted to sandy soil is one that is adapted to drought and infertile soils. Coastal regions and deserts often have sandy soil and there are pockets scattered throughout the country where ancient marine deposits form the underlying geology, resulting in sandy conditions on the surface. Mountainous areas often have poor, rocky soil with similar characteristics, so sandy soil plants can often be grown in these areas, too, as long as they are adapted to the cold temperatures that are typical of mountain environments. The key to success in gardening is matching the characteristics of your property to the plants that want to grow there. When it comes to sandy soil, the options are slightly limited, but there are still plenty to choose from. Because they share certain physiological traits that make them adapted to sandy soil, these plants also tend to look good together in the landscape.